For over a decade I’ve been a certified fitness professional, Pilates instructor and nutritionist. I also have a degrees in pre-med and nutrition. Plus I’m the founder of Mindful Health, LLC, an inspirational platform. It provides millions of women around the world with the tools, knowledge, and support to look and feel their best while living healthier, more zestful life. 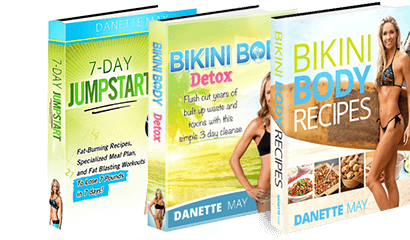 7-Day JumpStart, Bikini Body Detox, and Bikini Body Recipes. A cookbook that allows you to make fat-burning meals using 5 ingredient in 10 minutes or less. It’s the ideal solution for busy women who want to slash the time the spend at the grocery store, and in the kitchen, so they can have more time with their family and loved ones. “Flat Abs Fast”, “Bootcamp Bikini Body” and “Get Me In My Skinny Jeans”. 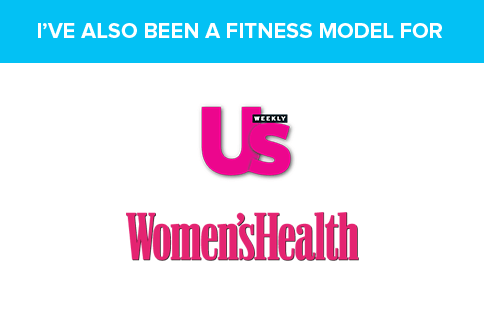 I’ve also had the pleasure of working with top fitness professionals including Jillian Michaels and George St. Pierre. But at the end of the day I’m a normal woman just like you. I’m a mother of two beautiful girls and I’ve had my fair share of ups and down, including a painful divorce. But using my 3 pillars of healing... Healing Movement... Healing Food... Healing Mindset, I’ve been able to help millions of women finally achieve the body of their dreams. My passion is sharing my philosophy and action steps with women like you, so you can find your self-love and appreciation. I hope soon you’ll join me and discover you deserve to shine bright!